The loss of another commercial battle in Brazil last week by leading French arms group Dassault adds to an ever-increasing list of disappointments in the export market of the French fighter aircraft manufacturer. Even though the Rafale fighter plane had been seen as the front runner for a long time, Brasilia eventually came down on the side of the Gripen – built by Saab of Sweden – in a contract involving 36 planes and worth in the region of $5 billion. These were to replace the Brazilian Airforce’s squadron of Mirage 2000’s, which were built by Dassault Aviation. This is a repeat of the scenario at the end of 2011 involving the Swiss Defence Forces, who also chose the Swedish Gripen over the French Rafale. According to many analysts, it all comes down to price in these straightened times and a Rafale costs twice as much as a Gripen. In answer to a journalist recently pointing out this fact on cable news television channel, Dassault group administrator Olivier Dassault replied: “But it’s four times better! Quality has a price.” In a statement after the interview, Dassault Aviation added that “Such financial logic doesn’t take into account either the favourable cost-efficiency ratio of the Rafale or the level of technology offered. In times where many national defence forces – Brazil’s included – have to tighten their belts, the price factor is proving to be a bigger handicap, despite the much-vaunted performance levels of the French fighter plane. Even France itself reduced its orders for Rafales in August – down from 26 per year six years ago to an annual requirement of just 11 now. 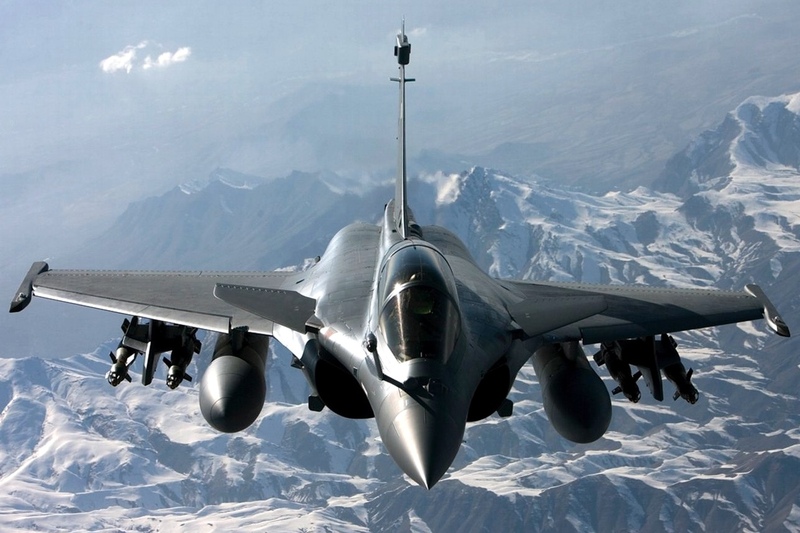 All of this makes the export market for Dassault all the more crucial in a world where the American military are the dominant force and the Rafale has failed to seduce in all the markets it has tried in the last few years – South Korea, Holland and Singapore, for example. Saudia Arabia was added to that list when they decided to buy the Eurofighter, made by the Anglo-Franco-German EADS-BAE Systems. Even in somewhere like Morocco – a country with close ties to France – the Rafale was passed over in favour of the American F-16. In 2008, an export contract with the United Arab Emirates was to be launch-pad to international success for what many in the know regard as the best all-round combat aeroplane in the world, but that never came to a conclusion and even though Dassault are still in the running, they’ve got stiff competition from Eurofighter. All that failure will become, to a large extent, just a bad dream for Dassault if they can finalise a mega-contract with India. The deal currently being discussed with the world’s largest democracy is for 126 planes – a potential order worth more than $12 billion. New Delhi took on the Rafale in January 2012, choosing it over the Eurofighter in a contract that could go as far as 189 units if an option is taken up, according to negotiators in January. But the death since of one of the Indian negotiators, a disagreement around the localisation of production in India and particularly the possibility of a defeat for the ruling Congress Party in the legislative elections in Spring have all increased the uncertainties around this “Contract of the Century”. “In a country where people believe in reincarnation, you can never tell in which life the contract will be signed.” Such was the ironic comment last October from one European industrialist in the French Department of Defence.